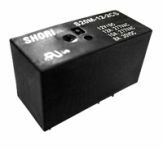 ● 30A general purpose Power Relay. ● SPDM, SPDB, SPDM+DB contact configurations. ● AC & DC coils are both available. ● High rating miniature PCB relay. 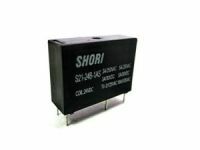 ● Low power consumption 400mW coil. 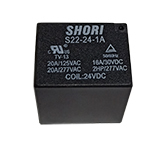 ● 20A 277VAC/SPDT, 10A 277VAC/DPDT rating are approved. ● Miniature PCB surge cube relay. ● Reverse contact terminal position version is available. ● SPNO, SPNC, SPDT and Sealed flux free & sealed Washable type are available. ● 0.36W and 0.2W coil are available. 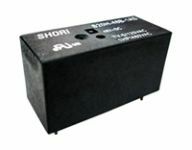 ● Switching capacity relay for high density. COPYRIGHT © 2013 SHORI All Rights Reserved.